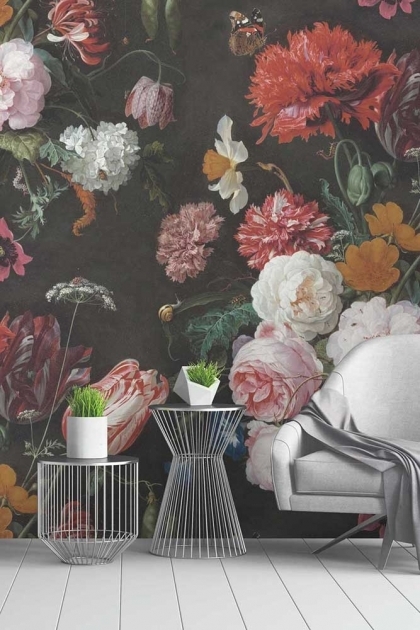 A dramatic floral wall mural the Twilight Garden Wall Mural is available to view at the Rockett St George Concession on the Fourth Floor Of Liberty London. Featuring a dark backdrop, the oversized punchy florals and blooms create a dramatic and magical effect – bringing your walls to life. 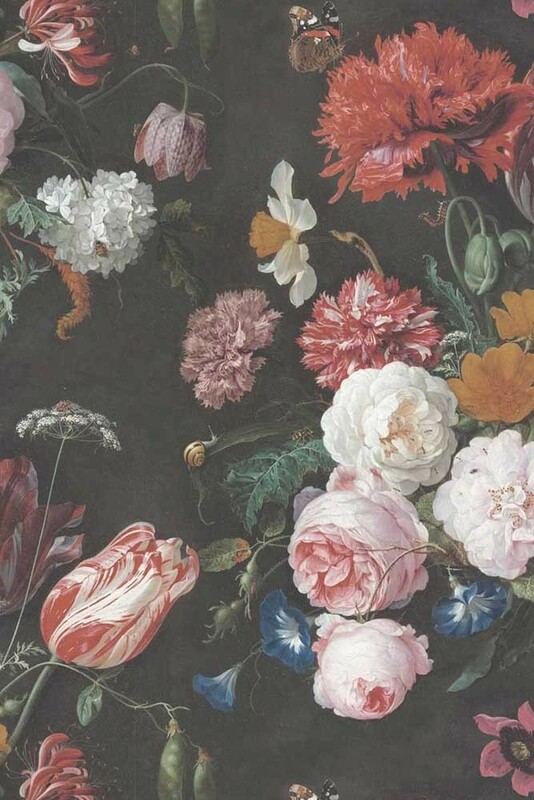 Flowers and insects featured in the garden wallpaper display include Tulips, Roses, Daffodils, Caterpillars, Snails and Butterflies. The Twilight Garden Wall Mural is available to order online from Rockett St George and is ready-made, measuring 3.12m x x2.4m – 7.49sqm. Bespoke sizes are available upon request. Please email contact@rockettstgeorge.co.uk with your custom mural measurements. Prices for custom sizes start at £245. Application Method: Paste the mural straight onto the wall. For more advice on how to stick your wall mural to the wall check out our wallpaper guide here. Dramatic wallpaper and wall murals are like art for your walls and can transform your home in an instant. So, if you love traditional floral designs with a bold and modern twist then we think you will love the Twilight Garden Wall Mural. Daring, edgy and beautiful all at once the forest wall mural is guaranteed to get your attention as soon as you walk into a room. 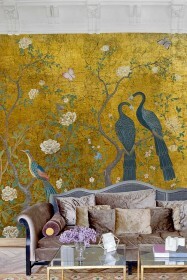 A great bedroom or living room mural for creating a statement. 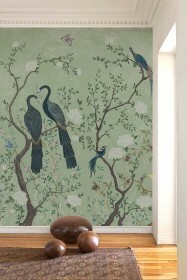 The Twilight Garden Wall Mural measures 3.12m x x2.4m – 7.49sqm. The Garden Mural comes in one large roll which is split into six numbered panels which are hung from left to right starting with panel 1. Bespoke and custom sizes are available upon request. 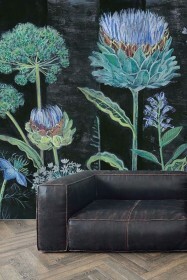 Please email contact@rockettstgeorge.co.uk to order your bespoke mural. Application Method: Paste the mural straight onto the wall.